Prints can be purchased in each gallery buy clicking on the button. Right now payments are set through Paypal, if you need another payment type please contact me. Lustre “E” – Kodak ENDURA professional photo paper with a fine grain pebble texture. This is our normal surface paper. Glossy “F” – Kodak ENDURA professional photo paper with a glossy finish. Kodak ENDURA Metallic Recommended– Metallic paper has a glossy finish and metallic appearance that creates images with exceptional visual interest and depth. In addition to delivering rich, vibrant colors and flattering flesh tones, this paper offers century-plus image stability. GatorBoard- Prints are mounted using pressure sensitive materials. Gator Foamboard is very rigid foamboard (3/16 inch thick) and lightweight backing with a matte black finish. It is durable and will not warp. Gatorboard comes with mounting blocks that make the print stand out from the wall about 1/2 inch. Much more economical than framing with a great contemporary look. 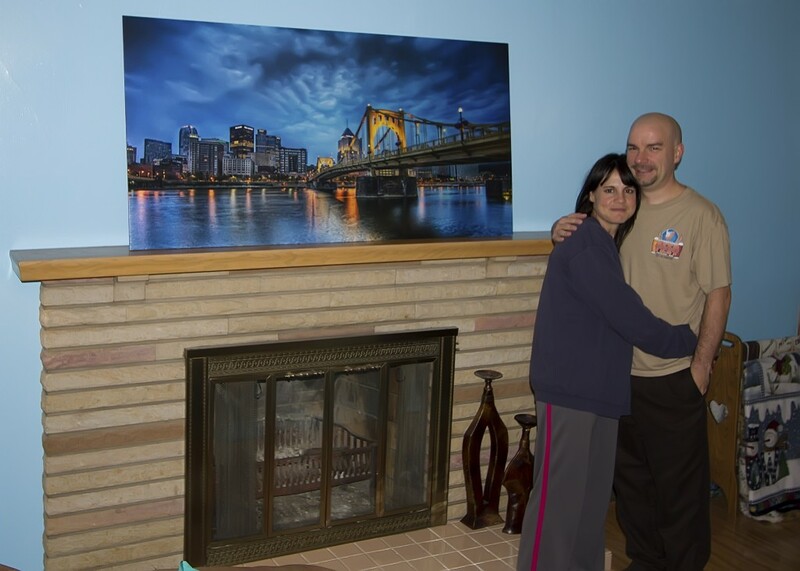 The same paper finish options are available for Gatorboard- check this 30″ X 60″ Blue Hour Bliss Gatorboard Print delivered to a happy couple! Other Stuff- I can also provide Metal Prints, Canvas Prints, you name it, I can probably get it for you, just contact me.